Sometimes markers can be a bear ("Hey my markers did not show up in DVD SP!!!") 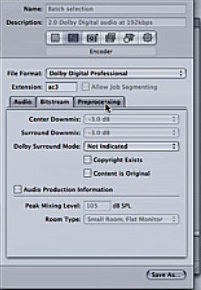 The movie shows a workaround for this problem, and also provides a quick overview of workflow from Final Cut to Compressor to DVD SP. Before looking at the movie, the following outlines what you will see - it will help in the event some of the screenshots are not clear. 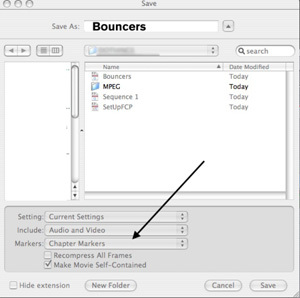 I had made a fancy movie in iMovie, "Bouncer" (numbers appearing on the screen and moving), then exported it as a DV. 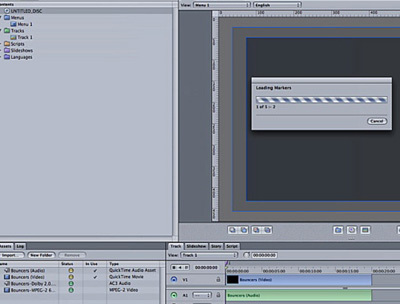 Afterwards I bought it into Final Cut Pro, where this project starts. 1.) 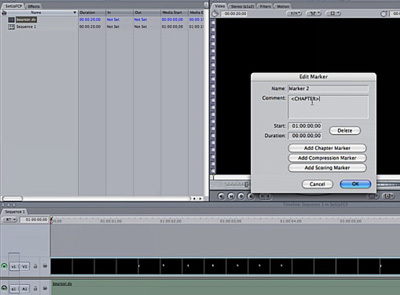 Make the movie in FCP and place markers where you would like them by Double Pressing "M" key (to get the dialog box below) and make sure to press "ADD CHAPTER MARKER" in the Dialog box. 4.) 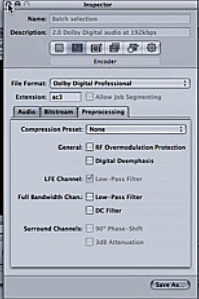 Compress the FCP movie from FCP project by using Compressor (Note the settings for A.Pack/Dolby) with the general ideas as follows - A data rate of 160 or 192 is usually good, you should set Dialog Normalization to -31 (first screen shot on left), preprocessing to none and dechecking Copyright Exists and Content is Original also helps prevent glitches (middle shot) and no compression and selections not checked as in shot on the right. 5.) 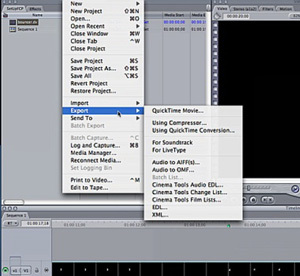 Launch DVD SP and press F3 Key to see the same layout. 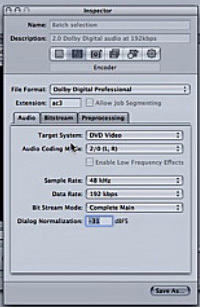 Drag the exported movie into DVD SP. Drag to track, the markers will show up. 8.) Set up first play, look at ways of setting up jumps, etc. The movie showing this is here (RUNNING TIME 4:50) and take a look at the Stories and Jumps movie for some more details. In under 5 minutes between both movies and reading this, you should be on your way.